Fmr. NY State Assemblyman Dov Hikind excoriates NYC Democratic leaders for removal of city councilman over 'there is no Palestine' tweet. 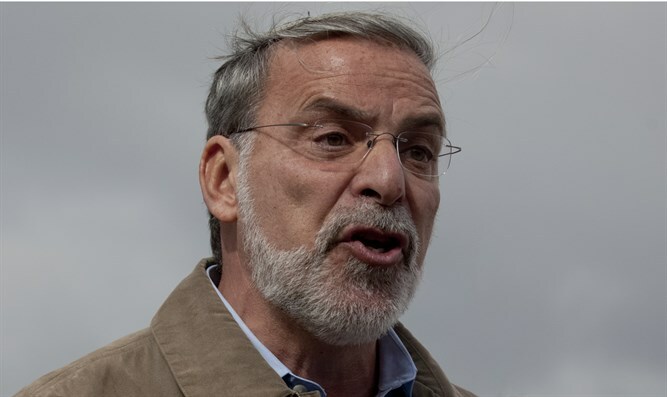 Former Democratic New York State Assemblyman Dov Hikind lambasted senior New York City Democrats Monday evening, over their decision to strip a city councilman of his committee seat after he tweeted that “Palestine does not exist”. Kalman Yeger, a Democrat who represents a largely Jewish district in Brooklyn, was removed from the New York City Council’s immigration committee Monday, after he refused to apologize for a tweet last week in which he wrote that “Palestine does not exist”. “Palestine does not exist. There, I said it again. Also, Congresswoman Omar is an antisemite. Said that too. Thanks for following me,” Yeger tweeted on March 27th. The tweet drew criticism from city officials, including Mayor Bill de Blasio, and led to protests outside of Yeger’s Boro Park office. Mayor de Blasio issued an ultimatum, threatening to have Yeger stripped of his committee seat unless he apologized for the tweet. “If you’re asking my personal opinion, yeah, I think someone who has the ability to say that about Palestinian people by definition should not be on the Immigration Committee,” the mayor said on WNYC radio. "Now, if he comes out and he apologizes, and says, ‘Look, I was wrong and I realize what I did was hurtful and I’ve got to change,’ different discussion. But if he’s not going to apologize, he shouldn’t be on that committee,” de Blasio added. On Monday, after Yeger refused to apologize, New York City Council Speaker Corey Johnson announced that Yeger would not be permitted to serve on the city’s immigration committee. Following Johnson’s announcement, former State Assemblyman Dov Hikind, who represented Brooklyn’s 48th district for 36 years before he left office at the end of 2018, issued a statement condemning Johnson and New York City Democratic leaders for Yeger’s removal. Hikind accused New York City Democrats of turning a blind eye to anti-Semitism within their own party – citing recent statements by Minnesota congresswoman Ilhan Omar – while punishing Yeger for stating a “historical fact”. “It’s a dark and sad day for the entire city, but certainly for the Jewish community, not just here, but throughout the country where this will reverberate,” said Hikind.